Announcement Gracie Jewellery personalized hand stamped - Baby Loss - Memorial - First Communion - Initial - Zodiac - jewellery in sterling silver custom made just for you. All made with care in my smoke and pet free studio. I ship every Tuesday. Your order must be in by midnight the previous Friday to be included in the following Tuesday's shipping. Gracie Jewellery personalized hand stamped - Baby Loss - Memorial - First Communion - Initial - Zodiac - jewellery in sterling silver custom made just for you. All made with care in my smoke and pet free studio. 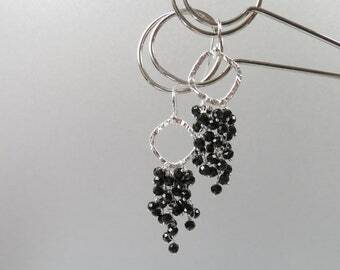 Black Spinel Cluster Dangle Earrings. Black Gemstone Drop Earrings. Sterling Silver Ear Wires. Gift for her. 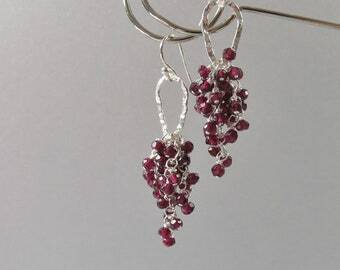 Garnet Cluster Dangle Earrings. Genuine Rhodolite Garnet Faceted Gemstone. Sterling Silver Ear Wires. January Birthday Gift. Pearl and Black Spinel Cluster Dangle Earrings. Mauve Freshwater Pearls. Sterling Silver Ear Wires. Anniversary Gift for Her. Apatite Cluster Dangle Earrings. Genuine Apatite Rondelle Faceted Gemstones. Sterling Silver Ear Wires. Gift for ladies. 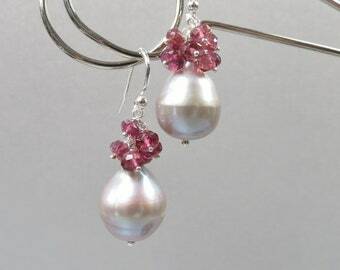 Freshwater Coin Pearl and Rubellite Tourmaline Dangle Earrings. Sterling Silver Ear Wires. Anniversary Gift for her. 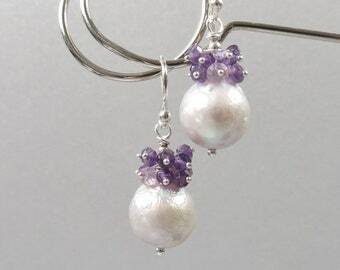 Pearl and Amethyst Cluster Dangle Earrings. 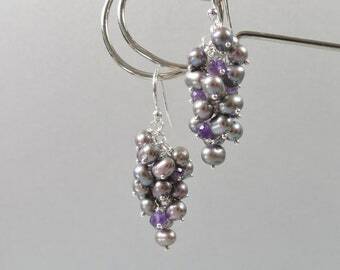 Freshwater Mauve and Silver Pearls. Amethyst Faceted Gemstone. Sterling Silver Ear Wires. 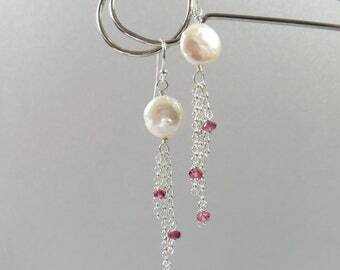 Silver Freshwater Pearls and Rubellite Tourmaline Gemstone Earrings. Hand made Earrings. June Birthstone. Wedding Jewellery. Blue Zircon Cluster Dangle Earrings. Genuine Blue Zircon Faceted Gemstone. Sterling Silver Ear Wires. December Birthday Gift. 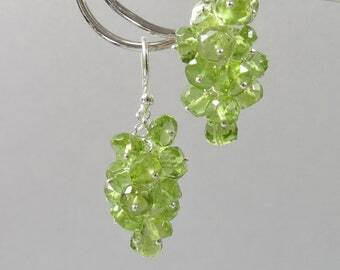 Peridot Gemstone Cluster Dangle Earrings. Genuine Faceted Rondelle Gemstones Earrings. Sterling Silver Ear Wires. August Birthday Gift. Heart Creamation Urn Pendant. 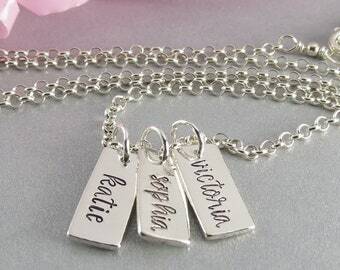 Sterling silver hand stamped personalized tag. 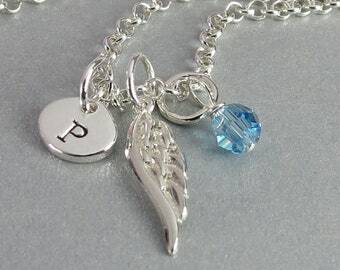 Angel wing charm and Swarovski crystal birthstone. 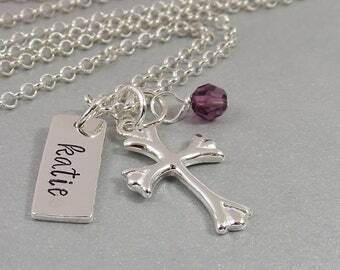 Sterling Silver Crucifix Holy Communion Necklace with Personalized Hand Stamped Name Tag. Swarovski Crystal Birthstone. Gift for Baptism. Sterling Silver Heart Beaded Bracelet. Personalized Hand Stamped Initial Heart Charm. Hand Stamped Initial Tiny Drops Necklace. 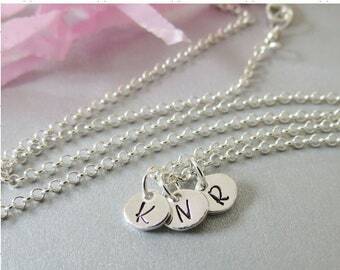 Personalized Sterling Silver Dainty Necklace for Everyday. 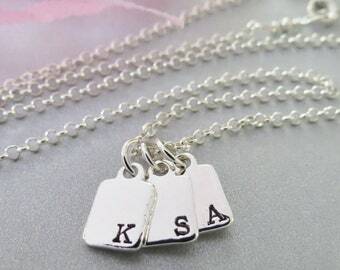 Name Tag Personalized Hand Stamped Necklace. Sterling Silver Layering Necklace. Hand Stamped Initial Rectangular Tag Necklace. Personalized Sterling Silver Dainty Pendant. 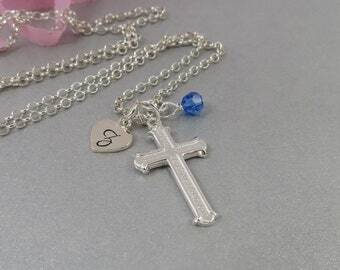 Confirmation Necklace with Personalized Initial Heart Charm. 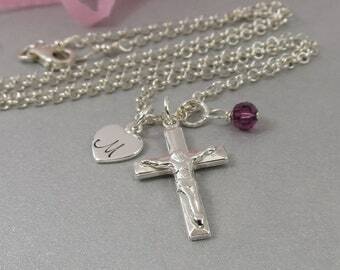 Sterling Silver Holy Communion Gift for Girls. Hand Stamped Tiny Hearts Initial Necklace. 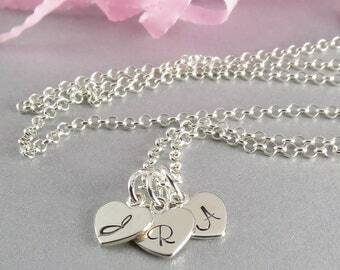 Personalized Sterling Silver Necklace. 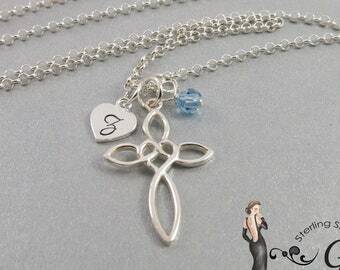 Celtic Cross First Confirmation Necklace with Hand Stamped Personalized Initial Heart Charm and Swarovski Crystal Birth Stone. Holy Communion Crucifix with Hand Stamped Heart Pendant. Personalized First Communion Gift. Sterling Silver. 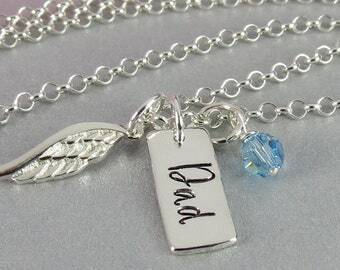 Dad Hand Stamped Personalized Memory Necklace. Remembrance Necklace for Father. 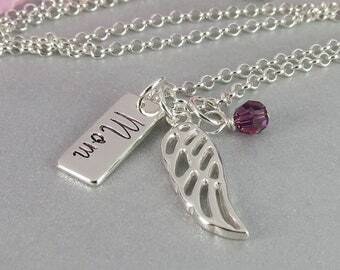 Angel Wing Charm. Bereavement Jewellery. Swarovski Crystal. 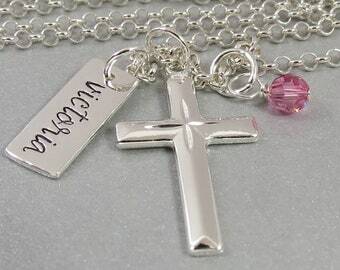 Confirmation Necklace with Diamond Cut Sterling Silver Cross and Hand Stamped Personalized Name Tag with Swarovski Crystal Birth Stone. 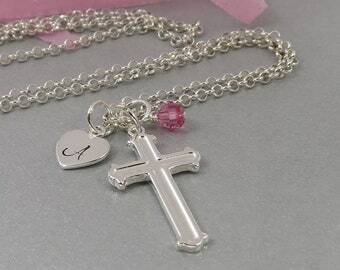 Personalized Communion Cross Necklace. Hand Stamped Initial Charm. Swarovski Crystal Birthstone. Confirmation Gift. 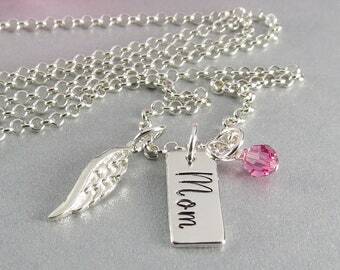 Memory Hand Stamped Mom or Dad Necklace. 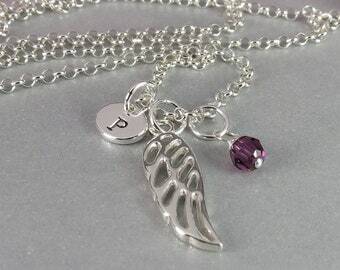 Personalized Bereavement Necklace. 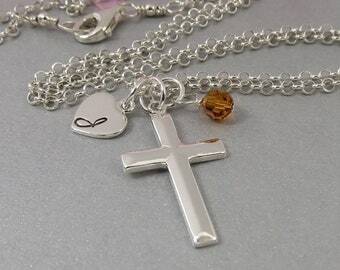 Sterling Silver Memorial Jewelry. Angel Wing Charm. 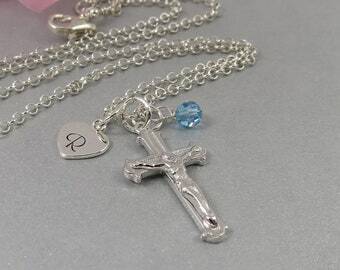 First Holy Communion Crucifix Necklace. Personalized Hand Stamped Heart Charm. 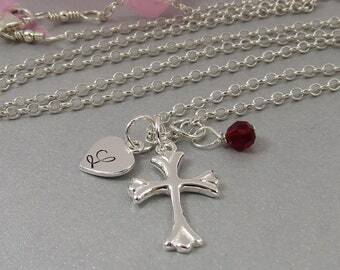 Sterling Silver Confirmation or Baptism Jewelry. Virgo Zodiac Sign Necklace. 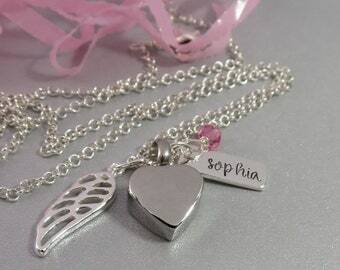 Hand Stamped Personalized Oval Tag Sterling Silver Necklace. Astrology Necklaces. Horoscope Jewelry. 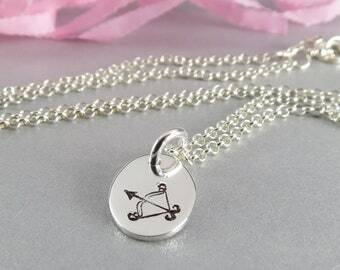 Personalized Sagittarius Astrology Symbol. Hand Stamped Sterling Silver Zodiac Jewelry. Tanzanite Facetted Briolette Drop and Pink Sapphire Smooth Rondele Dangle Earrings. Sterling Silver Wire Wrapped Gemstone Drop Earrings. Mother's Day Sale. All earrings in the earring section 15% off April 23 - April 29. Save 15% on all jewellery. No coupon needed. Prices already marked down. Previous sales not included. Now is the time to order your Mother's Day gift! Personalized Grandma Hand stamped Family Tree Necklace. Sterling Silver Name Circle Necklace with Tree Charm. Swarovski Crystal Birthstones. I spent many hours dreaming over this book! The bracelet that started it all. Hand stamps - an expensive addiction! Music is a must in the studio! A special order ready to ship. Gracie Jewellery - An Instant Heirloom! I was born with a passion for jewellery. Oh my gosh, that is an understatement. I am obsessed with jewellery! I knew at an early age jewellery would figure prominently in my life. Around the age of 10, I was given an old book that showcased the Royal Jewellery. watching the goldsmith. I really wanted to get my hands on that torch! absolutely gorgeous but way over my budget. I decided I would make one. a set of tools and set up my own bench. beads I made earrings. They sold almost immediately. Then I discovered hand stamping. Oh my! you personalize and keep close to your heart. Or give as a special gift. I now sell my creations under the Gracie Jewellery brand. I am thrilled that people all over the world wear my creations. I would love to make a special piece of Gracie Jewellery just for you! Welcome to Gracie Jewellery! I'm glad you are here. I design and create all my pieces with special care using sterling silver and swarovski crystals. All jewellery is made in my smoke and pet free studio. I try to be very accurate in my description of every item that I sell. Please read all descriptions, details, and measurements before making your purchase. I take great care in making my jewellery and packaging for shipping. If you have a problem please let me know within 24 hours. I will gladly work with you to resolve the issue. If it is necessary to send back the item, the buyer is responsible for return shipping charges. 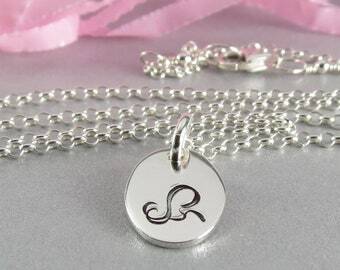 All personalized jewellery is non-returnable unless I have made a stamping mistake - then I will replace it with the same design minus the error. All beaded jewellery is final sale as each piece is made fresh for you at time of purchased and are considered custom pieces. Please note that you will be responsible for any duties or customs charges that may be imposed as a result of shipping internationally. I do not falsify customs documents. No refunds will be given on items if you choose not to pay the custom fees. ♥Health Canada Regulations make it impossible for me to accept returns of pierced earrings. All communication must be done through the Etsy convo system. This is so I can keep all information pertaining to your order in one place. I acknowledge all orders I receive. If you do not receive a confirmation email through your Etsy account within 24 hours of placing your order, please contact me through the Etsy convo system. 1) Direct Checkout using your credit card. Please note I do not see any of your credit card information. Payment is expected within 24 hours of order placement unless you have contacted me to make other arrangements. ♥♥Since my hand stamped jewellery is handmade fresh just for you, each piece does take time. Current production time is 7 days or less. I will notify you when your order has shipped. ♥Of course if you need something ASAP, just send me a message before you purchase. I’m sure we can work something out. ♥ I ship my jewellery in a plastic zip-lock bag in a leatherette jewellery pouch, and bubble envelope. ♥♥ I ship to the address listed on your account. Please make sure your shipping address is correct at check out. I will not change the shipping address after purchase. Items not received due to failure to provide correct shipping address will not be refunded. ♥ Packages shipped within Canada are shipped expedited mail and can take upwards of 10-15 business days to arrive, depending on your location. If your package shows it has been shipped, it has! ♥ I ship tracked packet airmail to the United States. Your tracking number will activate within 48-72 hours. Gracie Jewellery is located in Canada. In order to provide you with the fastest delivery possible, orders are couriered to Toronto where our broker delivers directly to US Customs. Once the package has cleared customs, our broker delivers your package directly to the USPS Office located in Rochester, New York. If your package shows it has been shipped, it has! ♥U.S.A. Residents are responsible for your country's duty and taxes. I do not falsify customs documents. No refunds will be given on items if you choose not to pay the custom fees. ♥♥If the tracking on your package shows as delivered but it wasn't in your mail box, please check with everyone in your household or your neighbours to see if they have taken it in. Any package shown delivered but not received will not be replaced until the Post Office completes their investigation. You can expedite this process by calling your local post office to have them look up the actual scan via the gps system on every postal truck. If the post office determines your package was delivered but you cannot find it anywhere you will need to file a police report for stolen mail. The police take stolen mail very seriously. I will need a copy of the report before I can replace the stolen package. I will do my best to help you with this, but you will need to do a little work on your end also. ♥♥ IF YOU REQUIRE YOUR PURCHASE QUICKLY PLEASE CONTACT ME SO WE CAN DISCUSS PRIORITY SHIPPING OPTIONS. ♥ You will receive a confirmation email containing the details of your order. Please review carefully and contact me if the details are not correct. If I do not hear from you within 24 hours, I will assume everything is as you would like it and your order will be made. Once the item is made, it is yours. The confirmation email will also contain the date your order will ship. I have never missed a ship date yet. Once shipped we are at the mercy of Your country's Post Offices and Custom Offices and sometimes they are in no rush. Gracie Jewellery is not responsible for delays caused by the postal services or international customs. ♥ I am required by law to charge HST on Canadian orders. Jewellery is not a toy, when giving jewelry as a gift to a child, PLEASE NOTE you assume full responsibility of the child's wear and use of the item. Gracie Jewellery only uses sterling silver, one of the most beautiful and lustrous of all metals. With proper care, your silver jewellery will retain its beauty and character for many years to come. Sterling silver tarnishes, especially when exposed to salt air and products containing sulfur, such as rubber bands and some papers. However, silver jewellery that is worn regularly needs less care, so Gracie Jewellery strongly encourages you to wear your silver jewellery every day. Do not wear your sterling silver jewellery while swimming as chlorine and saltwater will damage your sterling silver. Some medications and people with highly acidic systems will tarnish silver. Body sprays, perfumes, hairsprays etc will dull your sterling silver jewellery. Gracie Jewellery strongly recommends you do not clean your sterling silver jewellery with baking soda or toothpaste as this will cause scratching. Silver dips and polishes will remove the material used to darken the letters. Gracie Jewellery recommends periodically buffing your sterling silver jewellery with a soft cotton cloth. When not wearing your jewellery, store it in the pouch your jewellery was shipped in. Thank you for choosing Gracie Jewellery. Thank you for supporting handmade.